Usually when I travel to a foreign country I check out a library – not a bookstore – but Japan is an exception for so many things, and this is one of them. 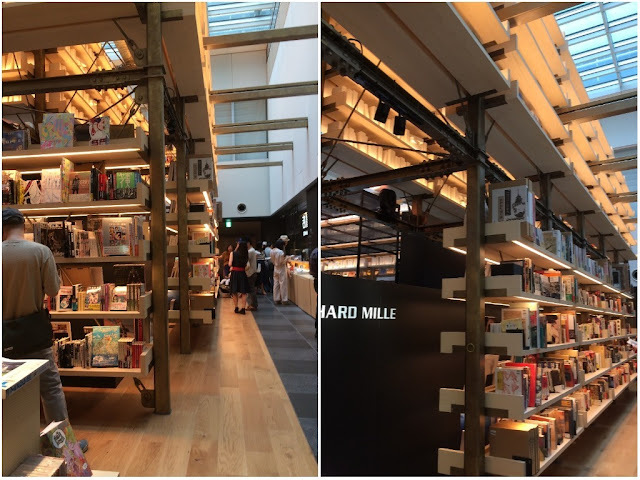 For the most part, there is little of interest to be found in Japan’s public libraries, which are perfectly adequate for the purpose they serve, but tend to be very basic and lacking in innovation and design. Not so with Japan’s private libraries, such as the Tama Art University Library and the Musashino Art University Library, both only open to students and inaccessible to the public (unless you are a member of an architecture firm or the press). I had been looking at ways to try to access these libraries but ultimately gave up because after all, Tokyo is a mecca for interesting architecture, and you need look not further but the bookstore Tsutaya. 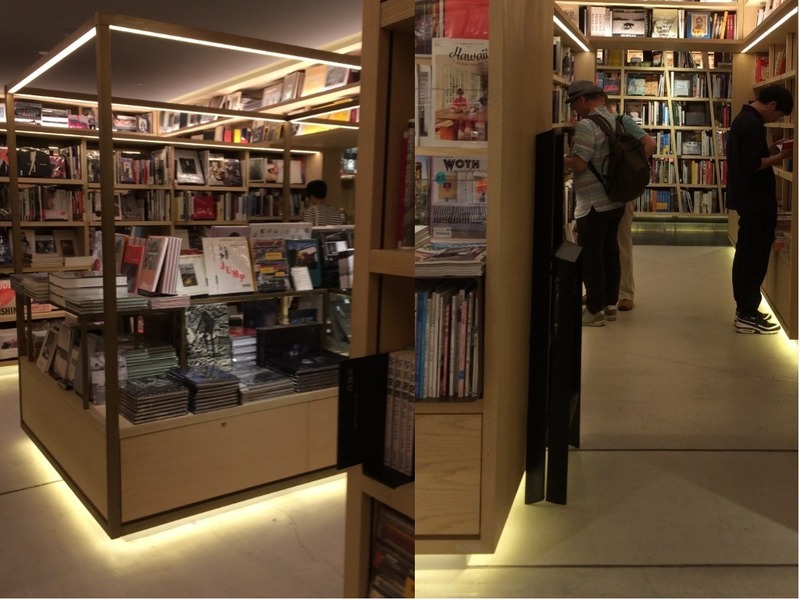 Tsutaya has to be my favorite bookstore in the world. 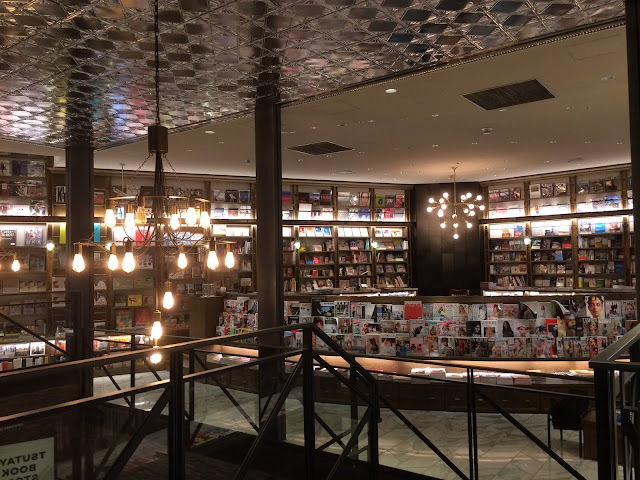 Not only is practically every location a design innovation, but they always have exactly the magazines I am looking for, great stationary, and art and travel books. The most famous Tsutaya is known as T-Site, location in the posh residential neighborhood of Daikanyama. T-site is amazing both inside and out. 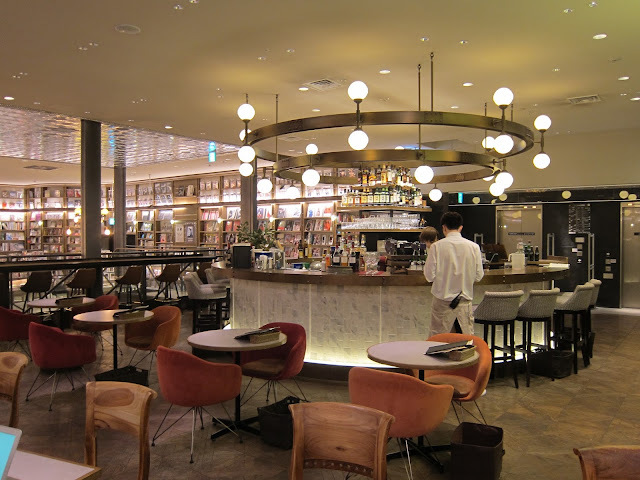 On of my favorite things about this location is the lounge on the top floor. 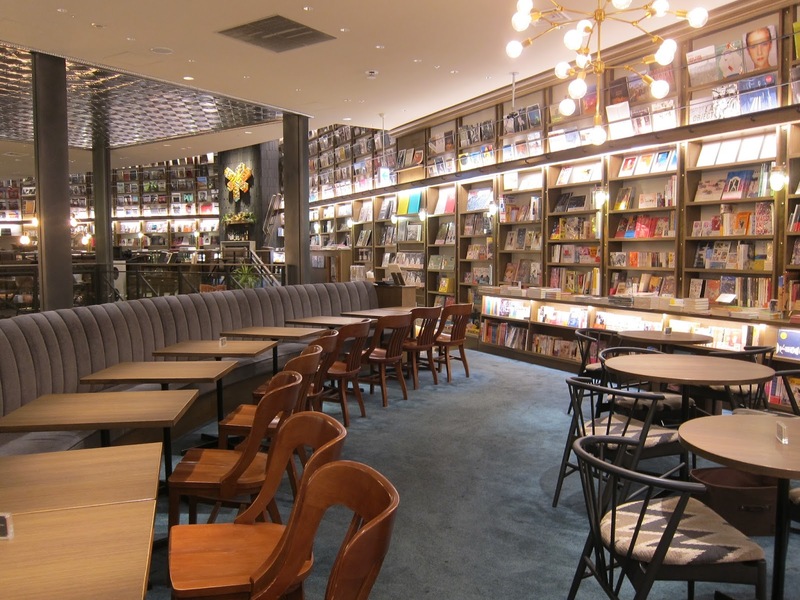 It would be a lounge anywhere in the world, but you this one is in a bookstore…in Tokyo. Unfortunately I didn't get any photos of this lounge, but you'll get the idea when you see the Tsutaya in Shibuya next. 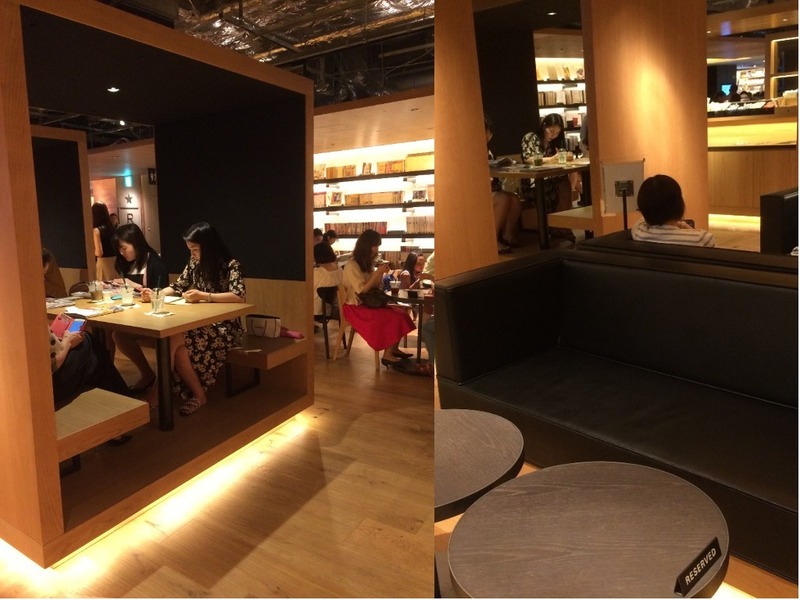 The second most amazing Tsutaya is the newest located in the Ginza 6 shopping mall. 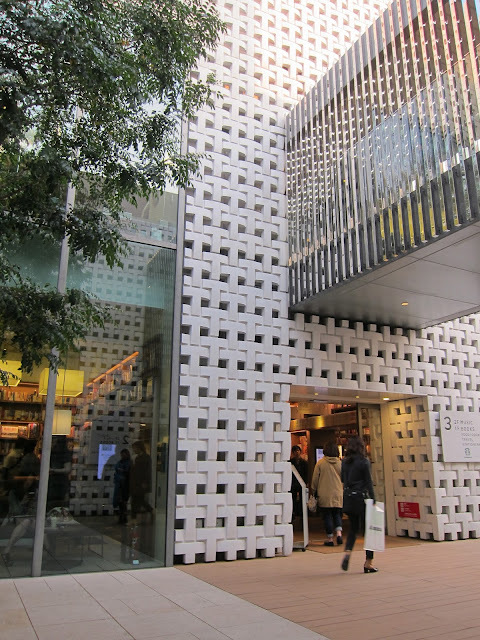 Usually I avoid shopping malls at all costs when I travel, but this one as a Kusama Yayoi sculpture hanging from the ceiling, so I figured I would take a look. 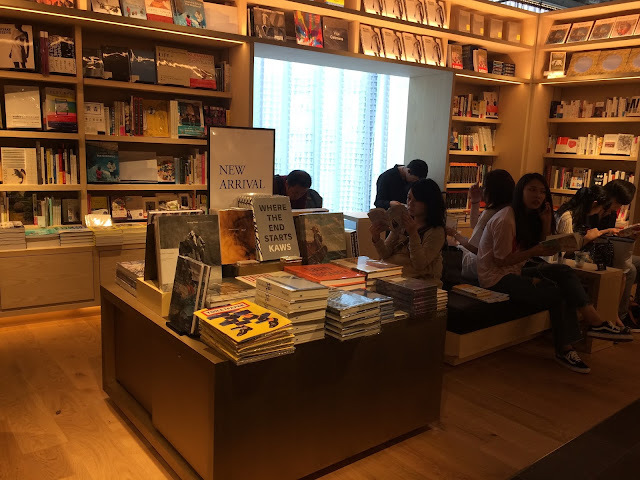 The Tsutaya here is no ordinary mall book store, it has a contemporary art gallery that changes exhibitions regularly (when I was there they had a private viewing), and throughout the hallways pieces of art were displayed. 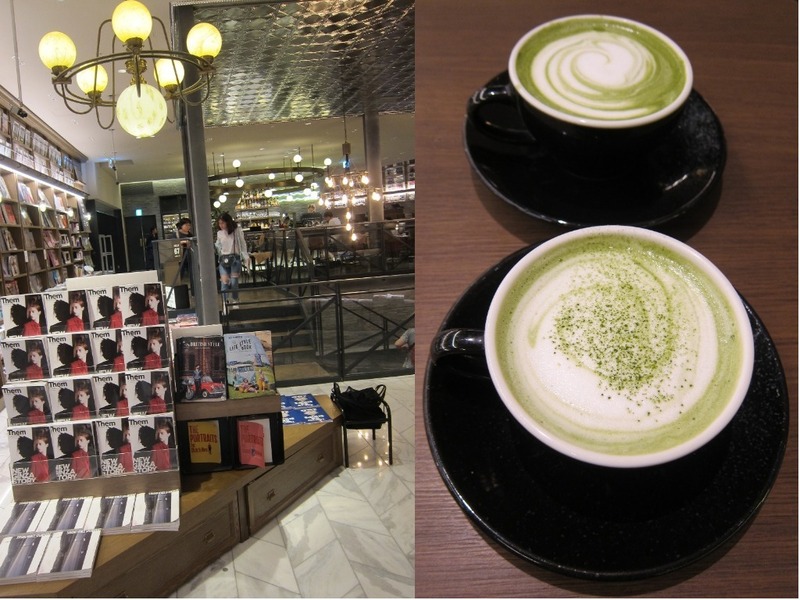 Even the Starbucks located in Tsutaya felt like an exclusive jazz lounge and had an enormously long line for tables. Wondering why my pictures are so crappy? That’s because I'm taking pictures covertly. 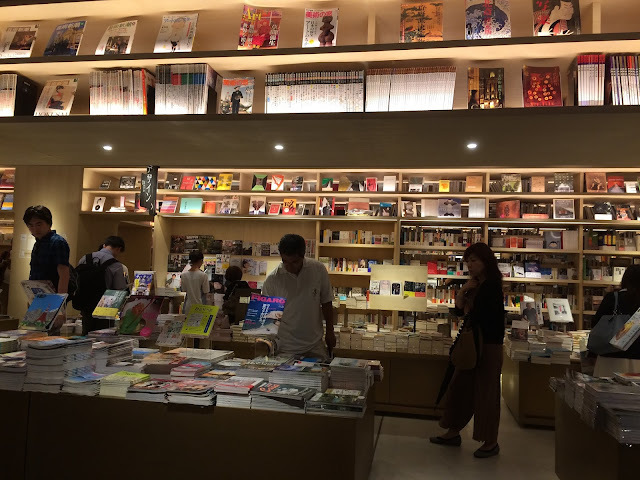 My experience with shop staff in Japan has taught me that they really don’t like people taking pictures inside the store, so I had to be discreet, hence there are not photos that will someday find themselves in the pages of a photography book. 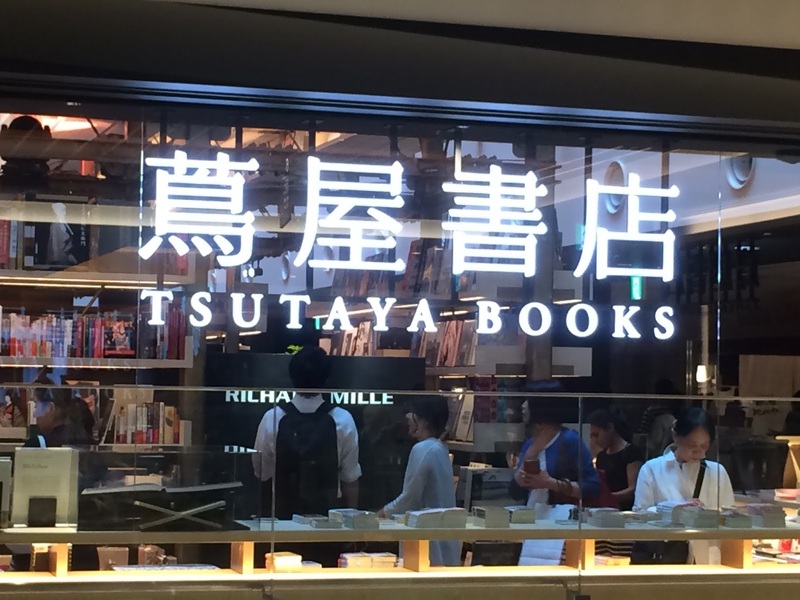 The third Tsutaya I visited (there are my no means only three locations in Tokyo, just three I am choosing to document) is one of the oldest, located in Shibuya. The first 8 floors or so are the typical bookstore experience, bright lights, crammed aisles, row after row of uniform bookshelves. Nothing to note there. 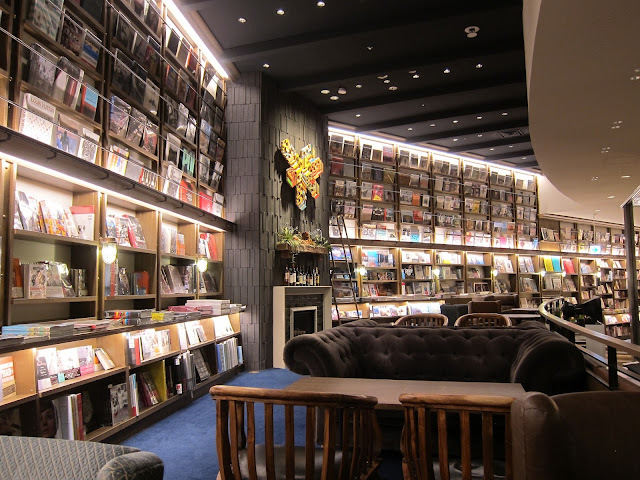 But the top floor is Wired Tokyo 1999, a café and restaurant encircled with art book and magazines. There is so much good stuff to look at that you hardly want to spend a moment at your table waiting on food. 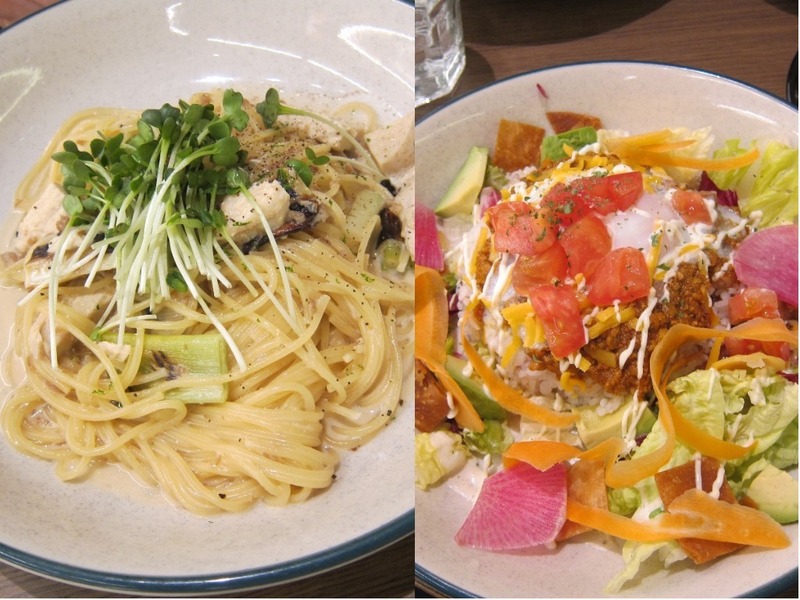 However, we did order some coffee and pasta and both were excellent.